On June 18, the Fisheries Committee in the European Parliament took a major step and approved the final version of the new regulation on the common organisation of the markets in fishery and aquaculture products (CMO). With 20 votes in favour and only 1 vote against, the progressed CMO is a part of the Common Fisheries Policy reform package and aspires ‘to find the right balance between supply and demand in the interests of European fishers and consumers’. The CMO manages the EU-wide fisheries market which includes the responsibility of setting standards for the provision of consumer information. The text of the reformed CMO, which should be operational from 1 January 2014 following final sign off in the autumn by EU law makers, has many new positive consumer information requirements. Seafood products included in the scope of the regulation include fish, crustaceans, molluscs and seaweeds marketed in the EU sold to the final consumer or to a mass caterer. The scientific name of the seafood species and the fishing gear category used to capture wild fish will become mandatory labelled information. This will be required in addition to the current requirements to list the seafood species’ commercial name, production method and area caught or farmed. For those fish caught at sea within the Northeast Atlantic, the Mediterranean and Black Seas, information on fishing area will have to extend further than the current requirements to just list the FAO area. The specific zone (as the sub-area or division of FAO area) from which the fish was caught must be stated, expressed in an understandable way for consumers or in the form of an easily comprehensible map depicting the particular area. However, only FAO areas (without the accompanying simple explanation) will need to be listed for fish caught outside of these areas. As for commodities produced through aquaculture, products will have to list the country in which a seafood product grew to more than half its final weight, stayed for more than half its rearing period or, for shellfish, spent the last six months of the cultivating or rearing process. Although gear categories will have to be labelled for fish caught at sea, an equivalent requirement relating to production methods is not there for farmed products. Operators would be allowed to list more specific catch and production areas, but this is not a mandatory requirement. The mandatory information (scientific name, commercial name, production or catch area, production method and gear type) for seafood products that are not pre-packaged may be provided on posters or billboards nearby the merchandise. In the case of seafood products that are all one species, but caught with different fishing methods, the packaging will have to list all the methods used to catch them. However, if the fish included in a product come from different areas, each area will not have to be listed; only the location that is most representative is required. The product, though, still must indicate that it contains a batch of fish from different areas. The CMO reform document asserts that voluntary information must be clear and unambiguous. More detailed information can be listed pertaining to fishing gears, environmental information, production techniques, ethical or social information and production practices. However, no voluntary information is allowed to be communicated that cannot be verified. 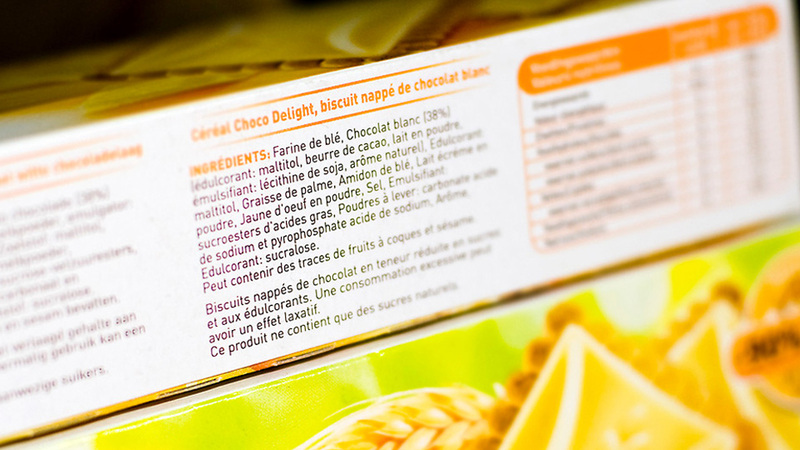 A labelling component that provides for the possible creation of an EU eco-labelling scheme is also included. This new EU eco-label would join the approximately 16 other standards/logos that are currently certifying seafood products in the UK. The EU commission will be conducting a feasibility study on this potential scheme after consultation with Member States and stakeholders. If everything runs smoothly, the CMO reform document should be submitted to the EU Council by early October and come into effect at the beginning of next year. The SSC is currently developing a voluntary industry code of conduct to ensure that our consumers are not misled by self-declared environmental claims, and that any voluntary environmental information is harmonised; find out more on our SSC labelling code page. This entry was posted in News on August 5, 2013 by Katie Miller.